Gilberts (Blackpool) Ltd designs, develops, manufactures, inspects and tests its products to ensure that they are suitable for the purpose for which they are specified, either as described in standard company literature or as agreed in a contract to meet our customer requirements. 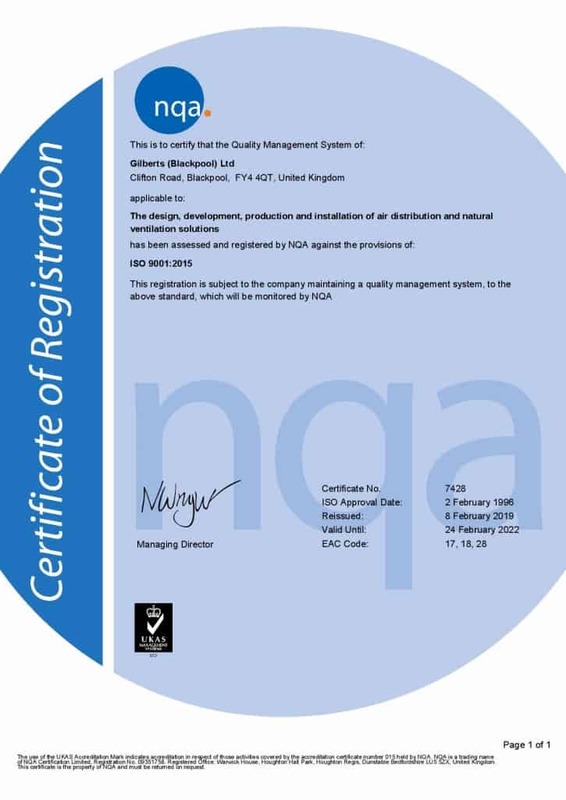 In order to ensure that this policy is effective, a relationship focused Quality Management System is implemented which complies with BS EN ISO 9001:2015. The Quality Management System ensures that the organization has the ability to consistently provide products and services that meet customer requirements and strives to exceed customer expectations as well as conforming to all applicable statutory and regulatory requirements.